2. Select the desired temperature. 4. The outside (fresh) air will be selected automatically. 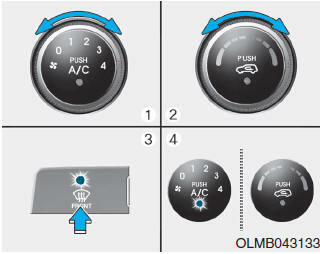 If the position is selected, air conditioning will also be selected automatically. 2. 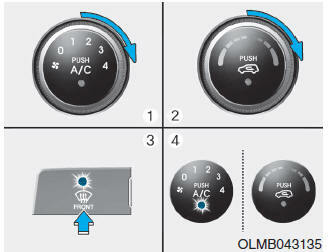 Set the temperature to the highest temperature setting (clockwise).